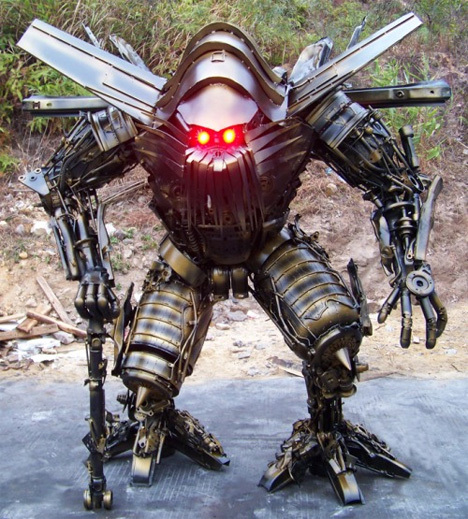 There are not many things as intimidating as huge killer robots. 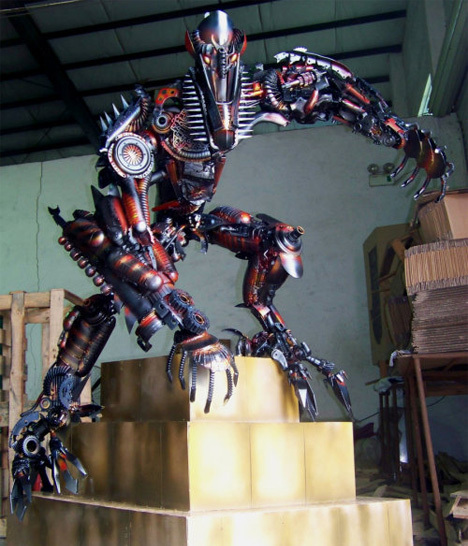 A Chinese artist who calls himself “Steel Legend” (and whose real name is Yang Junlin) knows this well enough now that he has a whole army of Transformers at his beck and call, presumably scattered all over his front yard to scare off intruders and salesmen. 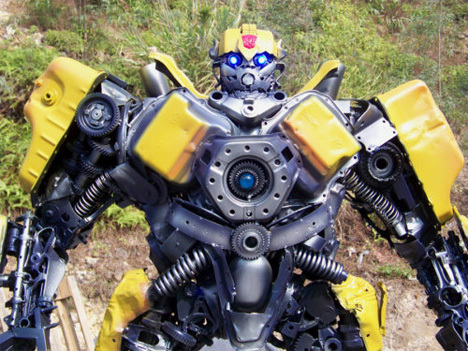 The Transformers are all made of scrap metal bits from old cars, but don’t dare to tell them that they used to be junk. They look like they could rip your puny human limbs off with hardly any effort…if they were built with moving parts, that is. 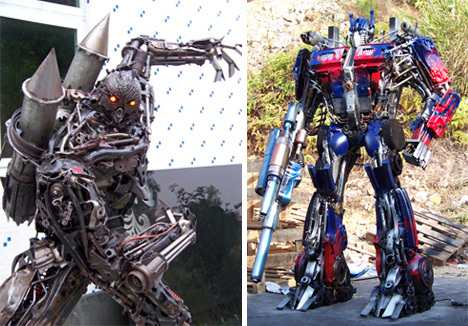 Junlin is so in love with Transformers that he started his own scrap metal sculpture factory called Legend of Iron. 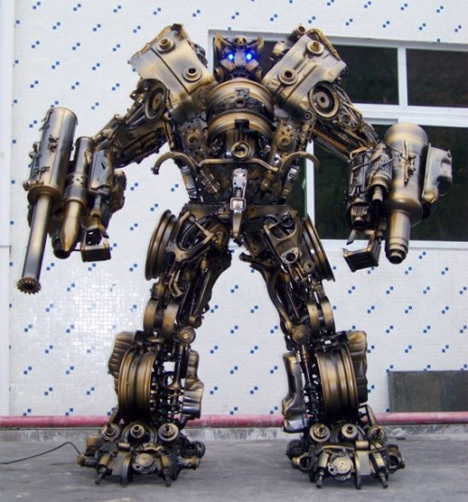 To date, Junlin and his 10 employees have built more than 1000 scrap metal sculptures. They admit that the sculptures take a long time to create, but the crew believes the end results are worth the work. Which sounds nice until you remember that one day, these scary robots are going to overthrow the human crew and take control of the factory. See more in Art of Tech or under Technology. March, 2011.